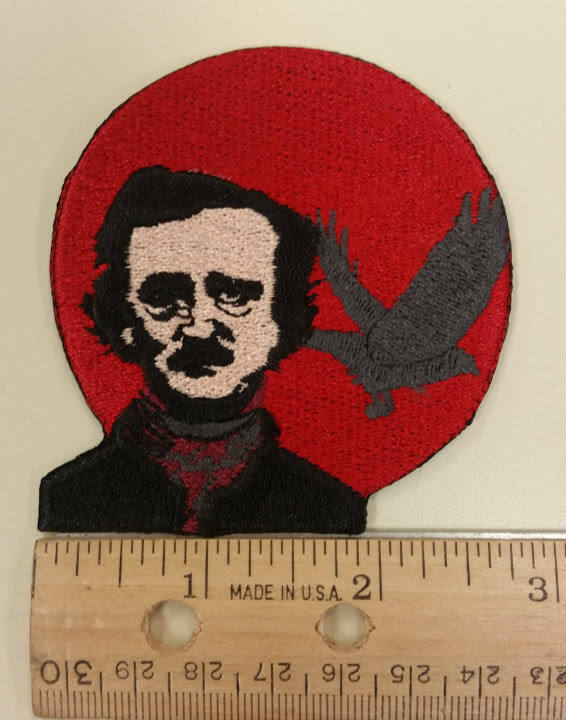 This patch is great for any lover of Edgar Allen Poe. 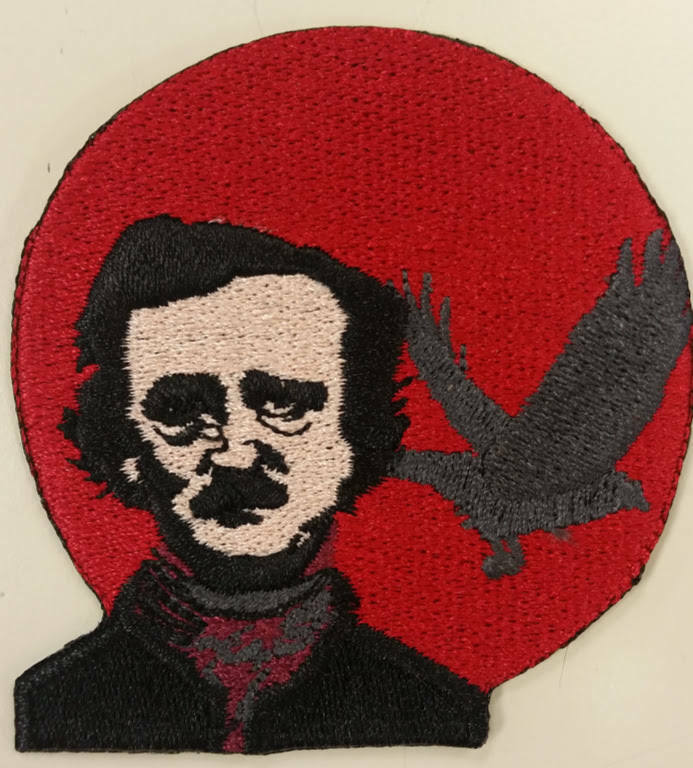 It is sewn with red, black, russet, and charcoal thread. It measures approximately 2.5"W X 2.5"H. It has an iron on adhesive to make application easy. 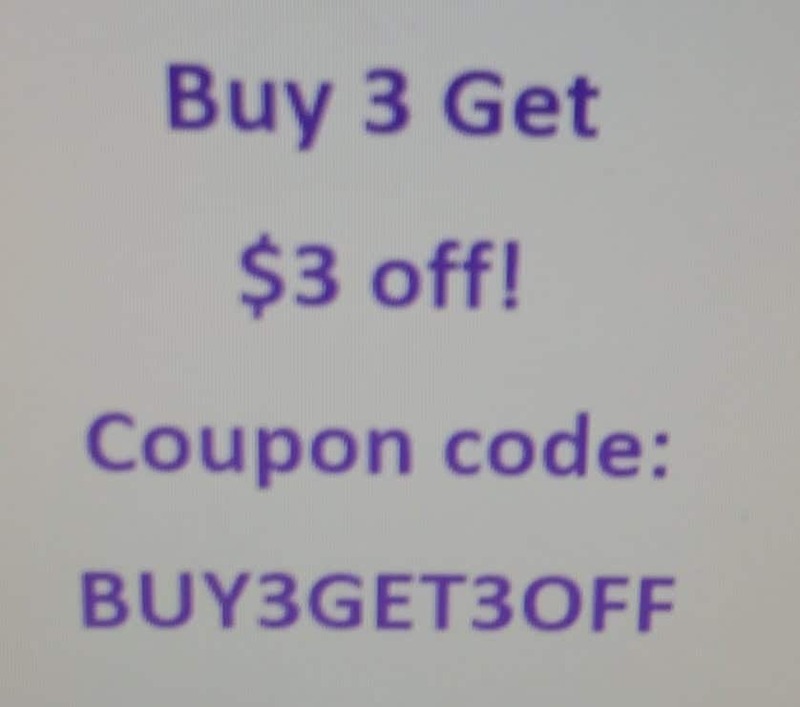 You may sew it on to your apparel as well. Beautiful Colors. Well executed. Hope this series continues. Received quickly. 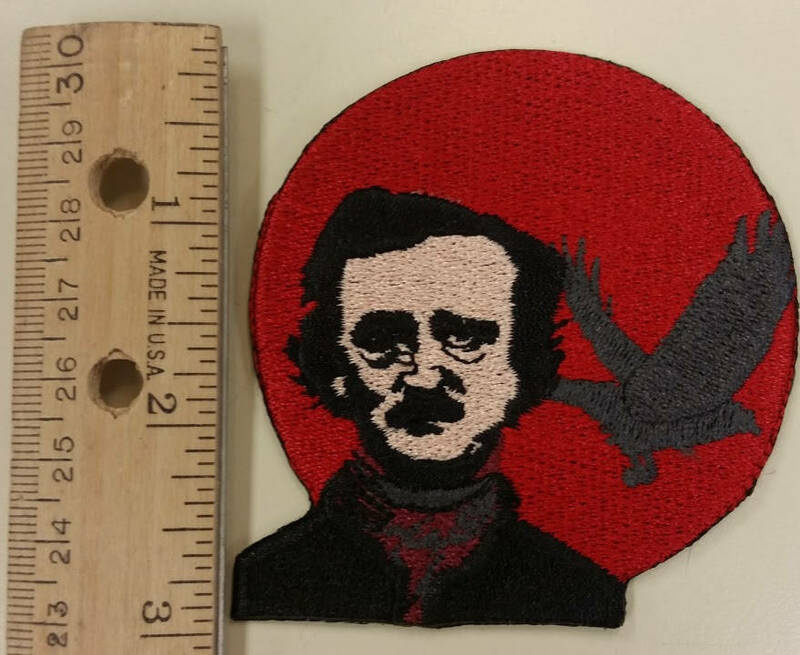 My patch got here speedy and true to photo! It’s beautiful & couldn’t recommend this shop more.